Shauna started climbing at the young age of 4 and has been competing most of her life. We see her as the current and two-time world bouldering champion, but it is the culmination of years of hard work, dedication and purposeful practice. Shauna has pushed herself, the sport and now the next generation. Last year Shauna was a sell-out attraction at the Youth Climbing Symposium and it was easy to see why. Every climber, young or old, who had a coaching session with Shauna and Leah left with a grin from ear to ear. It may seem to some as just having fun, but Shauna often explores what she is capable of – whether it is creating her own climbs indoors, playing on volumes or her infamous acro yoga. 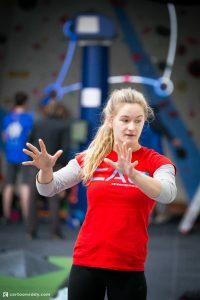 Developing a greater understanding of how to control your body us hugely important for climbers – especially young climbers who are on the same journey as Shauna has taken herself. Author of Gimme Kraft and trainer to many of the world’s greatest climbers, Dicki, an 8c climber himself is most well known for his close work with Alec Megos – the first climber to ever onsight 9a. Dicki is a functional trainer – a profiling coach who breaks down every element to understand an individual’s weaknesses, so they can address them specifically. Injury prevention and functional movement is key. It’s not just about pulling hard. Also the author of Gimme Kraft and man behind Alex Megos as well as numerous other athletes, Patrick is well regarded in this industry. Gimme Kraft taught us about sport specific functional movement in a far more developed way than any other material to date. Patrick has also climbed 8c himself. Patrick understands how to make sure you can move more effectively and therefore not only climb harder but avoid injury. One of Britain’s most accomplished and well-known athletes. Leah Crane has done it all – hard sport, bouldering, DWS and trad. 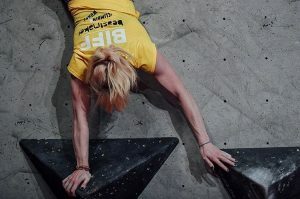 She has been coached throughout her early years of climbing and dedicated her life to the sport. As a result, there are not many climbers out there that can move better than Leah. She truly understands what her body is capable of and how to achieve certain moves – quite often in ways no other climbers can achieve. An ex-gymnast, current world-cup athlete and also coach to world cup champion Shauna Coxsey. Shauna and Leah’s sessions are functional, exciting and fun. They were sold out last year, so make sure you are quick to book onto this one. Back again for 2018, last year Ollie brought the training and inspiration that makes him and Lattice famous. 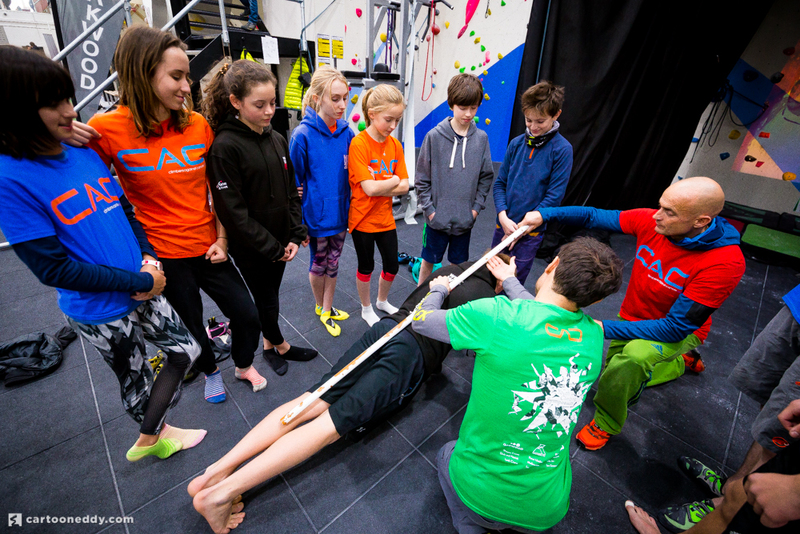 Showing the youth of the UK how to train for climbing, in particular energy system training. 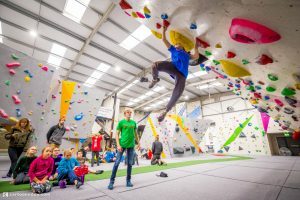 Expect much more this year as he brings new innovations in climbing training to Oakwood to make sure your training is on track. So be prepared to learn what the difference between Aero Cap and Aero Power is, how to train your AnCap and what it takes to be the best. This event wouldn’t exist without this man. Neil Gresham was the founder of coaching for climbing. When others told him there wasn’t a place for coaching in climbing, Neil pushed through and excelled in the sport and helped others do exactly that. Leah Crane was brought up under the guidance of Neil as were many other top British athletes. Incredibly well respected worldwide. Starting off with trad climbing, Neil has climbed most of the hardest and most dangerous routes in Britain – from The Indian Face (E9 6c) to Equilibrium (E10 7a). When we look at DWS – Neil has put up or repeated most of the hard routes in the UK and around the world. From Oman and Vietnam to the UK and Majorca – highlights being Olympiad (8b) in Pembroke and Ho Chi Minh in Ha Long Bay, Vietnam. From being a world-class story teller, to an expert in his field. We are incredibly excited to offer sessions with Neil. Some spell his name DYNO as Louis first came to fame for his exciting and quite frankly implausible moves. Louis has gone on to climb various hard boulders around the world but more importantly worked on his own climbing, movement and coaching. 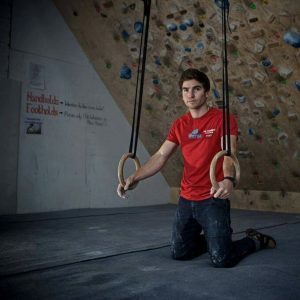 Louis has founded his own coaching company – catalyst Climbing which is well regarded around London, UK. You will struggle to find a more enthusiastic and supportive coach. When you may have given up hope, Louis has got enough to share and encourage you up something you once deemed impossible. His sessions last year were favourites among many and it is easy to see why. You will leave feeling happier and accomplished. Rebecca’s workshop helps you tap into one of the most important parts of the body. The Mind! Having worked as a Psychological Performance Coach for the last 10 years. 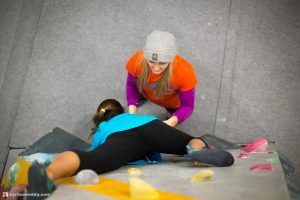 She works with climbers of all ages from grassroots to elite level, and specialises in the management of anxiety for climbers and the development of healthy coping skills. This is a workshop not to miss! 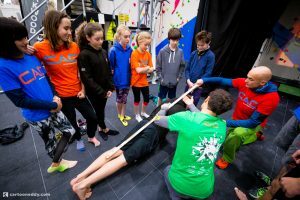 This workshop brings the magic of Alex Lemel’s World Cup style boulder problems with one of the most up and coming coaches in the UK. has Rachel been climbing for 10 years and a coach for 4. Having worked closely with a lot of successful athletes in Scotland and recently began working as Scottish rep for the GB Junior climbing team where I get the chance to work with some of our countries best athletes. While Alex is famous being one of the most creative route setters in country with his unique blend of World Cup style boulder problems.